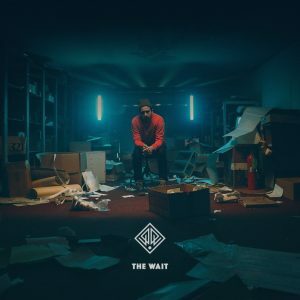 Grammy-nominated singer-songwriter and producer David Leonard recently released his highly anticipated solo album The Wait via Integrity Music. Born out of personal experiences and set against a backdrop of alternative pop, The Wait tells Leonard’s story of wrestling through heartache, depression, confusion, and redemption with his family and God. PRESS HERE to listen. Tying into the album’s release, music videos for each track were combined to make a short film that tells one overarching narrative. 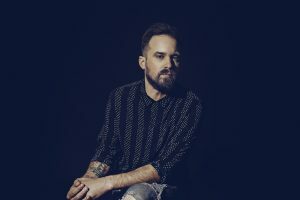 The innovative film was directed by Elliott Eicheldinger and is the visual companion to the album’s journey through confusion and heartache to clarity and hope. PRESS HERE to watch. I am sitting in my house in Nashville, TN. Just enjoying the night! I grew up around music, my dad did music in churches and my grandmother played piano and organ at the church. I grew up in a small town and music was like a hobby, nobody ever did music for a living. I grew up loving it and singing, but never thinking that this was actually something that I could be a part of. I had probably a million different careers that I thought I was going to end up doing before this. I tried to do graphic design, tried to do other good stuff, but I was always pulled back into music and I never could get rid of it. The biggest surprise so far in making music is that people actually listen to the stuff! And it matters to them. I think you sit here, and you create this stuff, and you just think it’s these songs that get breathed into the atmosphere. You don’t realize a lyric or a melody can change a person’s perception on life. I think the thought of it changing someone’s perspective on life is a serious, heavy thing. It blows my mind that that kind of stuff happens, and that it does on a daily basis. I know it does for myself, like when I’m listening to records and songs that I can remember that have shaped me and molded me into me. I take it seriously and I carry the responsibility of what this is. My hometown is very different than where I live now. I grew up in southeast Arkansas in a little town called Monticello. It’s about 9,000 people and it was the delta, the dirty south. Music was – you were either into country or you were into hip-hop – and I fell more on the hip-hop and rock ‘n’ roll side. I think my roots have been shaped by where I came from. I think there was a sense of realness that was there, people were able to see through things really quickly. I think that shaped me and caused me to ask those questions whenever I’m creating stuff. Let’s talk about your brand new solo album, “The Wait.” What was it like putting this collection together? Did anything surprise you about the overall process and once you got in the studio to record it? It was actually really easy. I spent the majority of the time writing these songs for other people’s records, just writing with friends for fun. There wasn’t this grand pressure of creating a record. It was just a beautiful surprise at the end of it that we had something really special. It was pretty awesome. While it’s difficult to choose, can you pick out a few of your favorite songs from this new album and talk about the inspiration behind them? How did it get to be on this collection? I think my favorite songs change on a daily basis. Right now, it’s for sure “Come As You Are.” I think that’s a daily reminder to me that God still finds joy in me. No matter where I’m at, and no matter what’s going on in my life, I’m still loved and cherished. I’m thankful for that. I would love to know how your various songwriting, recording and touring experiences with other groups has affected the kind of musician that you are today and the kind of music that you are making now? Being in a bunch of different bands has definitely shaped who I am musically and as a person. I think I learned so many amazing things from each one of them and it shaped me into who I am. When I was in Jackson Waters, it was learning the fact that you have to know who you are and who you’re writing songs for. And then when I was playing with NEEDTOBREATHE, I learned the beauty of having people walk into a room and making them forget where they are and allowing them to get lost in something I also learned about doing something with such excellence. And then for All Sons & Daughters, it was the beauty of space. Allowing people the space to have a real conversation whether it was with themselves, or with God, or with a friend. We created an environment that allowed people to ask questions and take things in. And I think I’ve done all of that with this record. I’m really excited for it. I’ve had an amazing team help me with the social media stuff. It can be extremely difficult. Nowadays, social media is such a key piece, it’s so different than whenever I started doing music. I have some amazing people pouring in. My man Gilbert is keeping everything looking good and it’s so fun to get to dream and create with him. We’re having fun creating a space for people to come find out everything that’s going on with us. Right now, I love Khalid, I love what the guy’s doing. He inspires me greatly. There’s a ton of stuff right now, it’s a list that’s probably to long to lay out. Jon Bellion and all of his stuff, I’m hooked on it. I’m loving where music is right now and thankful to be able to make it in the time where we are right now. I’ve got no clue! It’d probably be really fun and an amazing party with all my friends. I would probably take my Teenage Engineering OP-1. I can make beats with it, I can make synth sounds with it, I can record into it. It’s a one-stop shop. It’s a no-brainer, OP-1 for the win. My family and I watch a lot of funny shows and I don’t know if my music would be great on them! But my daughter would think I was the coolest person in the world if my songs were on The Goldbergs. We love that show and think it’s hilarious. I hope that people find hope and they find that they’re not by themselves. That’s the comfort that I’ve found through all of this. It’s easy to seclude yourself when you’re walking through hard times and luckily, I was surrounded by a lot of amazing people. The hope is that these songs will surround you, just like people surrounded me. And that you’ll find beauty in it.